A Father Like a Tree. In fact, I had lived, up to that time, a real life fairytale. I’d married the girl with whom I’d fallen in love-at-first-sight at a high school football game when we both fourteen years old. That girl and I had two beautiful daughters. Our family expected our third child, a son, in only a few months. We had our health, or so we thought. It hadn’t mattered too much that the Fortune 1000 Company, Suburban Propane, which had relocated my family to the lower Hudson Valley five months earlier, acquired Agway Energy Products, reorganized, and eliminated my position. As I sat on the bed as The Second Beautiful Daughter nestled under her sheets and blankets, I looked up and saw the canopy that hung from the ceiling and draped over her bed. The canopy was a mesh green and was decorated with colorful plastic flowers, vines, and leaves. While I thought about my family and my life, I could almost image that my daughter and sat on the forest floor where a canopy of leaves and branches loomed above our heads. The story my innocent little girl heard that night was the story about a beautiful bird that landed in a tree, built a nest, and laid three eggs. A month later, that girl who I’d married and who was about to have our third child would be diagnosed with something called occult metastatic breast cancer. 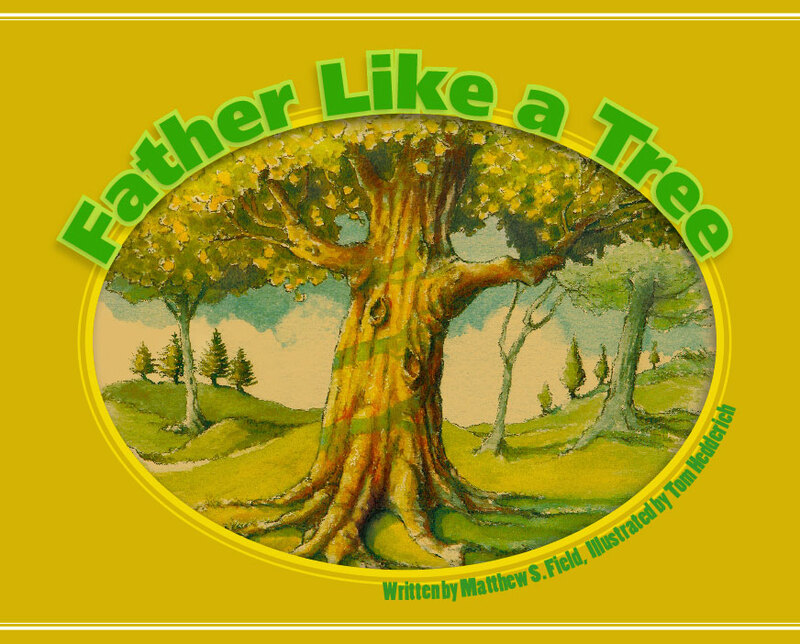 Our son would be born healthy in June of 2004, and my first title, Father Like a Tree would be published exactly one year later. That girl wouldn’t be able to celebrate the story of the love I had for my family. She’d succumbed to that disease four months earlier. The beautiful bird still lives in the eyes and hearts of her “three baby birds,” and that tree still “lives in the forest with trees of every shape, color, and size.” Although the real life version Father Like a Tree didn’t quite end the way I’d hoped it would, I can still see the beautiful bird through the eyes and the spirit of those three baby birds. In 2006, Father Like a Tree reached #2 in Children's Books for Ages 4 - 8 and #35 among all books on Amazon.com. It remains one of Amazon's best reviewed books. Shop early for Father's Day; order your copy of Father Like A Tree from your local bookstore or CLICK HERE to order from Amazon.com!